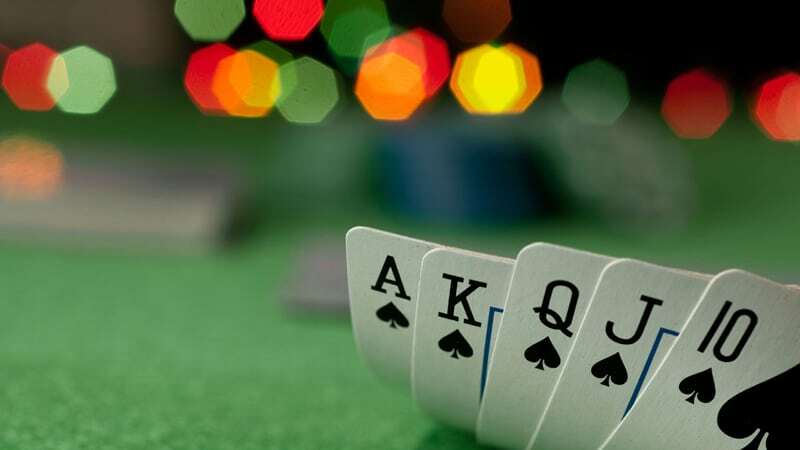 Once the casino opens, guests can walk up to their favorite table and hand their $100 in casino money to the dealer, who will in turn exchange this money for casino chips. Our casino chips are clearly marked with denominations that range from $5 to $1,000, and each denomination has a different color so guests can easily tell each one apart. Typically, once they hand in their casino money to the dealer, guests receive a combination of $5 chips, $25 chips and $100 chips to start. Because our smallest chips are $5 denominations, $5 usually serves as the minimum bet at most tables.